How to do magic easily and quickly, including illusions, stage magic, parlor magic, sleight-of-hand, and party stunts. 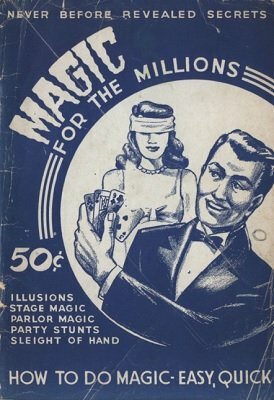 The Author of Magic For the Millions is a retired magician of many years experience as a professional showman, entertainer, writer, compiler and creator of humor. He lets us peek into the mysteries of magic; he regales us with a lot of new party stunts; he tells us what to do to amuse guests at the dinner table. What Number Do You Prefer? What to Do at House Parties?